Published on March 1, 2014. I am going to tell you right up front that this article is written with the intention of trying to sway your opinions over to supporting the labeling of products to either say they are "non-GMO" or to say they are "genetically engineered" foods. 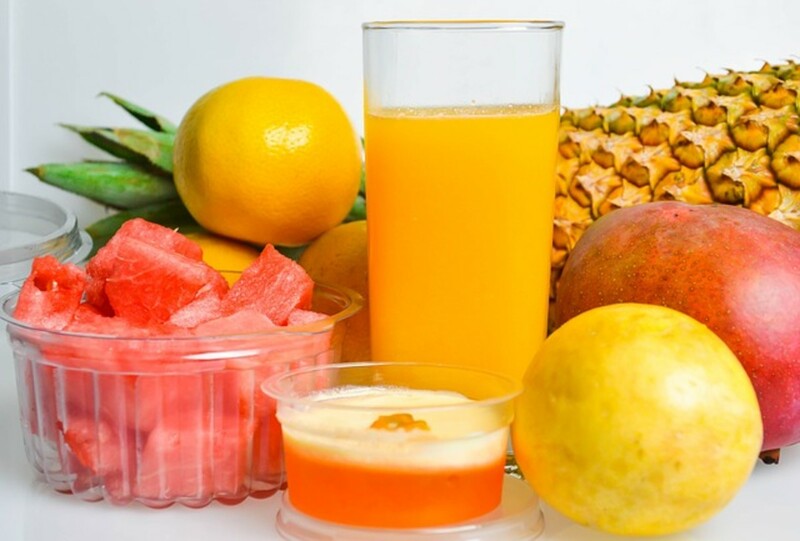 It is my hope that after you read this article (and click the links for further reading) that you will answer the poll at the end of this article in the affirmative - that you want to know if your food has ingredients that were genetically modified. I thank you in advance for reading. The biotech companies who are responsible for genetically modifying the seeds that grow to become our food and the herbicides they use to treat the crops while they are growing would like us to believe that there are no ill effects from eating these foods. They would like us to believe they are telling us the truth about not only about the safety of GMO's and how the process works but what they are doing to the crop before it was planted and while it grows. They would also like to see a lot of people go away, namely those who support putting GMO labels on their products. It would save them a lot of time and money in the long run. With people being more conscious of the foods they are putting into their bodies, they are also becoming more conscious of how their food is made, what the ingredients are, and how some of the packaging might be deceiving because a lot of things are left off the labels. "Connecticut's legislation stipulates that GMO labels would be required to appear on products in the state's supermarkets only after four other states bordering Connecticut enact similar rules. It also requires that to enact such a law, there must be a total population of more than 20 million people. In 2013, 95 bills related to the labeling of genetically modified food were introduced in 28 states, according to the National Conference of State Legislatures. Some have failed and others are still pending, but few go as far as Connecticut's law. State Senate President Donald Williams Jr., D-Brooklyn, called on co-sponsors of the federal legislation to "lead the charge" for mandatory labeling in their respective home states. "If a handful of states with a significant population change and adopt the labeling legislation and requirement, then the companies will be forced to label on a national basis," he said. On January 30, 2014, lawmakers in the state of Colorado rejected a bill that would give food producers "the option to voluntarily label their foods as genetically engineered or not." Those who support GMO labeling can't catch a decent break. Even if the bill is worded to give growers the "option" and to not make GMO labeling a "requirement", the bills still fail at state government levels. The bill was not a state law "requiring" food labels. It was a state law to give food producers the "option" to do it. In my opinion, this is one of the most ridiculous ways to word a law. Why do food producers need to have a state law giving them permission as to what to put on their labels? It was a waste of time and taxpayer dollars. Wording the state bill to require GMO labeling, one way or the other, would have made legislators honestly earn their salaries. By juxtaposing the wording it the way they did, they effectively stole their salaries, as well as robbed the American people of their right to know what is in their food. On top of that, the Food and Drug Administration already has a system in place which, in part, says that producers can voluntarily choose to label their foods as genetically modified or not. So why is this issue being put up on the ballots of so many states for voters to decide if they want GMO labeling? Each state can introduce a bill either in their House of Representatives and/or their Senate with or without support or input of voters. If the proposal for a bill is put on a ballot for vote, it can be introduced in either House that way too. All they are doing is fulfilling a voter's right to have a say on a ballot and if the vote comes out in favor of introducing a bill into either House, you can be sure the big guns will come out to shoot it down in each House. If the bill fails on a ballot, legislators are off the hook as far as being pressured to introduce and vote on a bill before them in their House. If the bill passes on a ballot, all it does is move it to the front of the line when the bills come up for consideration in each House. It gets the voter's hopes up, allows the GMO producing companies to spend their money lobbying against the passing of labeling laws, and pads the pockets of legislators who take the payoffs to see to it that the laws do not make it to second or third base. States would be responsible for policing growers, producers and stores who lie saying their products are non-GMO. They would have to set up a penalty system that could incur jail time. They do not want to open their state governments up to expensive lawsuits if labels are misrepresented. After much rallying for support by pro-labeling groups, on January 22, 2014, legislators in the state of New Hampshire voted against voter supported House Bill 660, which would require labels on genetically modified foods. 185 legislators voted down the bill and 162 legislators voted in favor of the bill. It makes me wonder why we even bother to put these legislators in office. It also makes me wonder about how truthful our voting system is in reporting the final tallies. I'm not only talking about crooked, fixed or skewed elections. I'm also talking about legislators who are in the pockets of the GM companies who are paid for their votes in one way or another. If our votes don't count or if our votes are not going to be considered regarding a cause or concern that is on the ballot, why even ask us what we think? The fact is, as voters, the only time our vote really counts is in a Presidential election because there is an Electoral College which is held accountable to the American people. The Electoral College oversees the voting system and tallies ballots only for Presidential elections and the results are public record. We can't say that about our voting system for other types of elections. For our votes about other ballot questions to be ever taken seriously, perhaps we need an Electoral College to oversee all elections, so the true results can be verified and published. It might spur Americans to start trusting the vote system again, to come out of their homes to vote, instead of the attitude that now permeates our country. Some say "Why vote? It will make no difference anyway because the government officials will do what they want to do." An Electoral College might restore credibility and accountability to voting system. More accountability than we have now, that is. I'm not convinced that tallied votes are truthful in non-Presidential elections. I am not alone in that opinion. Every time we see a lot of hype about GMO labeling coming up for a vote, either by voters or by legislators in any country, we seem to be disappointed when the bill or ballots always fail us, and GMO labeling is not passed. After so many failures, the GMO topic will stop garnering our attention on a ballot because the results will be more of the same. People will believe their vote will not matter, and when asked, they will say, "So why should I bother." And that is when the big companies behind the production of genetically modified seeds, crops and food will have won. Buying organic will become a thing of the past because organic farmers will be edged out of the market and not able to compete to make a living. The reason I say that is because not enough consumers will support the organic farmer in order for him to stay in business. When GMO farms far outnumber organic farms, they don't stand a chance. I, for one, like being fairly healthy and in order to stay that way, I have to have access to untainted, unadulterated, healthy food. It is a human right, one that is being slowly taken away from us. If you voted in the above poll that you would buy GM foods, consider this. You will be supporting the GMO farmers more than the farmers who grow organic crops and our quest to be able to eat more healthily will fail. Buying organic will become a thing of the past because organic farmers will be edged out of the market and not able to compete to make a living. The reason I say that is because not enough consumers will support the organic farmer in order for him to stay in business. With all the fields around him growing genetically engineered crops, it is inevitable that his land will be contaminated on a routine basis either by encroachment (land that meets land on boundaries), water irrigation systems, cross contamination by human error, or with engineered pollen from weather conditions, thus rendering his crop contaminated as well. He will lose his certification which states that he is producing a 100% organic crop. Our ability to buy organic will become a thing of the past because the organic farmer will be defeated in his efforts to grow an unadulterated crop. When GMO farms far outnumber organic farms, they don't stand a chance. Most of the information we know about companies like Monsanto, DuPont Pioneer Hi-Bred, Dow AgroScience, Syngenta, Bayer CropScience and others who make seeds that farmers use to grow crops and foods, comes from word of mouth from scientists, past employees and regular folks like you and me who do their homework. The federal government believes the big GMO companies when they say that "their studies" show there are no dangers to humans who eat genetically modified foods. President Obama says that he personally believes that GM foods are safe. Now, I don't make this next statement to cause readers to write me nasty comments or to think ill of me. I am just stating an opinion, one that may be shared by many readers of this article. But I do believe that it will take a devastating illness in the President's immediate family, a disease that no one in his family has a history of, in order for this President to reconsider his views on the safety of GM foods for humans. The bad news is that it may take 5, 10, or even 20 years for any such disease to manifest itself and by then, tracing it back to GM foods will be almost futile. 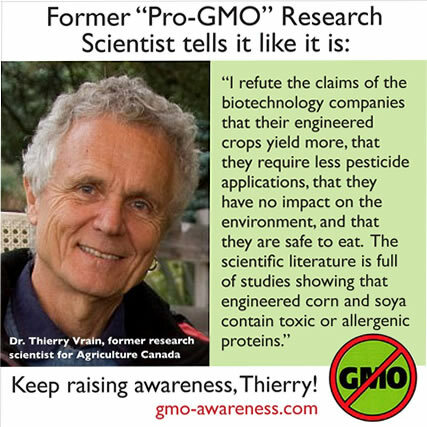 Please click to read this letter written in May 2013 by a scientist named Thierry Vrain who used to be in favor of GMO foods. He is now a former employee of Agriculture Canada and what he has to say in this report may sway the opinions of readers who support genetically modified foods. 70% of all processed foods has at least one ingredient made or derived from genetically modified crops, according to the nonprofit Center for Science in the Public Interest. The Grocery Manufacturers Association puts the number between 80 and 90 percent. It appears imminent that the US Dept. of Agriculture will approve a genetically modified apple which is said not to brown after slicing. Their choice of an "apple" is interesting to me because I can think of one other instance (in the Bible) where an apple was the center of attention and it did not bode well for those who ate it. I think of it this way. If a drug addict starts with a little dose of drugs, soon he builds up a tolerance to that dose and needs a larger dose to accomplish the same effect. When that dose is no longer effective, he seeks an even larger dose. Now take that analogy and apply it to herbicides that are used on crops. Using herbicides and pesticides over time makes crops resistant so that bigger, badder and stronger herbicides and pesticides must be used. 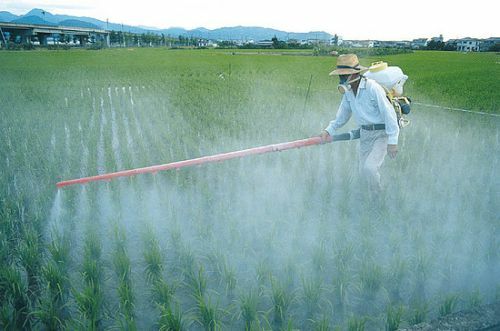 The biggest, baddest herbicide in our history was Agent Orange, used in the Vietnam War, jointly supplied by Dow Chemical and Monsanto Corporation. Monsanto is the sole supplier of the "rainbow" herbicides which include from Agent White, Pink, Blue, Green, Purple, and Orange - all of which vary in degrees of strengths and target specific areas. So, the chemical companies do have access to stronger herbicide agents. Some consumers feel they are saving them for a day in the not too distant future when more potent formulas will be needed to kill the weeds and fungus that are inherent to their crops. No matter how many studies and reports I see, no one can tell me that all of these chemicals don't have long term effects on humans. The pictures of their laboratory rats are scary enough, but when we read letters like the one above from Thierry Vrain, we should be afraid. We should be very afraid. To date, the US federal government has not approved any genetically modified animals as food. But what gets me is that most livestock in the US are being fed genetically modified feed, so whether consumers realize it or not, they are already getting GM food from these animals. To take that a step further, consumers are not "updated" whenever a food source is now becoming genetically modified by seeds. 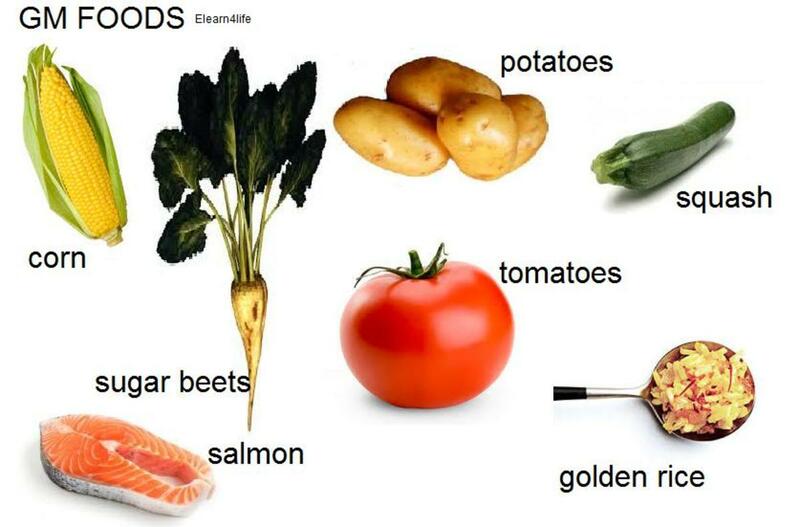 Foods originally thought to be untainted by the genetically engineered process will be ingested unknowingly. In all honesty, one has to consider whether the fight to have their foods labeled with GMO information is really worth it, given the past record of several states in the US who have tried to pass the labeling on a state level, no matter that the FDA already gives growers the option. The Food and Drug Administration (FDA) states that all genetically engineered foods have to meet the same requirements as regular foods. The FDA does allow voluntary labeling by food producers to say if their food is genetically engineered or not. Voluntary means it is an option. As you can see from the food on your grocery shelves, many choose not to exercise that option. In December 2013, the Grocery Manufacturers Association wrote a letter to the FDA asking if their foods which were "derived from biotechnology" could now be allowed to be labeled "natural." The meaning of "natural" seems to have become skewed. The FDA has not answered their letter. Foods have ingredient labels already. Consumers just want to know if any of those ingredients were genetically engineered, so they can make informed decisions on whether they want to eat them or not. I say it is too bad if GM companies stand to lose revenue. I stand to lose my life if I ignore present day science and make a food choice that may potentially harm me over the course of my life. If years from now, GMO food is ever proven to be totally harmless, I still deserve the right to make an informed choice today, whether I want to eat it or not. Better safe than sorry, just label it. We will never know if "organic grown" is truly safe from contamination, unless we are growing it in our own backyard under very controlled conditions. This is why we hear about so many Americans who are trying to live off the grid - growing their own food, alternative power sources for energy, participating in co-ops and other programs. They do not want to be held hostage by these companies. They also want to be sure what is in their food. Here is a little bit about a blogger who got an education when she visited a neighboring farm. The Illinois Farm Family blog documents Renee Keats and a small group of the Illinois Moms who took a tour of a local farm - Jeschke Farms. Renee wrote: "various family farms have “test plots” used solely for seed companies to test and research the effectiveness of newly developed seeds. Thus these farmers have a vested interest in the successful outcomes gained from agricultural research." We have been told GMO's only affect our grains so far, but that can't possibly be true because those grains are fed to our livestock (which we eat), so we are still eating GMO products. I suspect that requiring labeling will reveal even the most trusted companies (Purdue, Tyson, Angus, etc.) are involved in genetic engineering. They just don't want us to know it. Labeling causes more problems for GM food producers and the companies who supply their seed and they will go to any length to deter it. The longer these companies can keep the words "GMO" off the labels, the longer they have to get their affairs in order to bury or falsify findings in order not to lose any funding that comes their way or the consumer trust. I do not see why the GMO farmers/food manufacturers waste time and money fighting the GMO label. They could spend the time and money - maybe even save some - making the food GMO free, or organic. About the first poll: I did not vote in it because I would buy organic unless I could not find something in the organic section. Then I would get the non-GMO. This was useful and interesting plus it had a lot of information. I would absolutely like to know what's in my food. I would think everyone would. But, like you said, if everyone knew more about their food, and were able to make educated decisions about what they were eating, that would REALLY shake things up! Mary, I'd like to see it taken one step further. Outlaw GMOs entirely! Excellent article, by the way. This one has to be shared and I am doing just that! "Silent Spring" by Rachel Carson...that has been my Bible for decades with regards to food...obviously I don't need persuading. :) Keep raising awareness; we need this subject talked about near and far.